Arizona -(Ammoland.com)- The Veterans of Foreign Wars (VFW) post 4073 in Marshall, Michigan was the site of a class to teach people to build AR-15 rifles. The class had been scheduled for months. This was the third year the popular class was held at the post. Chris Walden of Walden's Firearms taught the class to about 60 participants. This year was a little different a professor from Albion College, W. Jeffrey Wilson organized a protest of their peaceful, voluntary activity. Chris Walden teaches the class and sells the parts used. He pointed out that all of the guns have serial numbers, are registered and are sold only to those who legally can own them. Walden said there was never any talk of delaying the class after the massacre in Florida last month that left 17 dead. The shooter used an AR-15. Protesters who came out Tuesday say the very idea of creating more of these guns is a terrible idea. The gun culture is winning the cultural, legal, and moral war. Gun culture people learn how to build AR-15 rifles, buy them, buy magazines and ammunition, join the NRA and build communications networks such as those fostered by VFW post 4073. The people who want a disarmed population protest and attempt to bully the government into passing laws designed to tear down the Second Amendment, bit by bit. W. Jeffrey Wilson organized and lead the protest against the AR-15 build. He is a Psychology professor at Albion College. He posted some thoughts on his home page that he considered persuasive. Here are some words from W. Jeffrey Wilson. For my own mental health I need to stop replying online to people who cannot comprehend data. The Supreme Court has ruled (2008) that the 2nd Amendment allows restrictions on who can have a gun, on where a gun can be carried, and on the commercial sale of guns. This is law. Professor Wilson conveniently leaves out that these restrictions are very minor. Only a few prohibited classes are prevented from having guns. Guns are forbidden in only “sensitive areas” such as government buildings and schools. The commercial sale of guns may be regulated, but the decision did not allow for restrictions on the personal, private sale of guns. The decision also stated that firearms in common use for legal purposes were protected by the Second Amendment. The AR-15 and variants are in common use. They may be the most popular rifle in the United States. Estimates vary, but there are likely 8-10 million AR-15 rifles privately owned in the United States. There are probably 50-150 million detachable magazines for firearms in the United States. It is likely a majority of firearms now produced in the United States are semi-automatics. A previous Supreme Court decision, Miller, in 1939, held that the Second Amendment protects weapons appropriate for use in a militia. The AR-15 is eminently suitable for militia use. That is a Straw Man argument. It does not matter if gun homicides increase where there are more guns. It is like saying there are more car accidents where there are more cars, or more hospitals deaths where there are more hospitals. The number that counts is the overall number of homicides that were not justified. If there are more guns, but the same or smaller number of homicides, there is no reason to reduce the number of guns. If you have more justified homicides with guns, but the illegal homicide rate is reduced, that is a positive good. Even left leaning Politifact disputes the research the Professor relies on here. It is from Louis Klarevas, who conveniently changed the definition of a mass murder from four or more people killed to six or more, to reach the findings above. 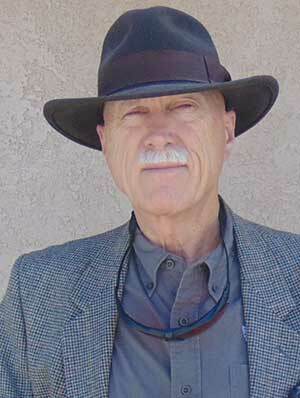 Professor Wilson implies that rifles such as the AR-15 were used in the killings researched by Louis Klarevas, but many of the killings were done with pistols. Semi-Automatic rifles have been easily available in the United States for more than 100 years. AR-15 rifles have been easily available for more than 40 years. An AR-15 was first used in a mass murder in 2007. It was a police issued rifle. and that (from a New England Journal of Medicine paper) gun ownership greatly increases the odds of a homicide in the home, often involving a relative, while providing no protective value to the gun-owner. The New England Journal of Medicine has lost all credibility as an authority on criminal actions. They routinely fail to include any positive effects of the ownership of firearms. They ignore the criminological studies that dispute their ideologically driven findings. Without considering the benefits of firearms, they put themselves in the position of only looking for a potential drug's side effects, without considering the benefits. The Center for Disease Control, in a study commissioned by President Obama, acknowledged that defensive uses of firearms likely occur between 500,000 and 2.5 million times a year. Among other factors also worth considering is media coverage of mass shooters, which Adam Lankford, a criminology professor at the University of Alabama, said rewards perpetrators with fame and can lead to copycat effects. “Although firearms availability is the primary reason why the United States has more public mass shooters than other countries, media coverage of perpetrators may largely explain why the United States has seen more public mass shooters and deadlier incidents over time,” Lankford said. “The results were clear and consistent,” remarks Haidt. “In all analyses, conservatives were more accurate than liberals.” Asked to think the way a liberal thinks, conservatives answered moral questions just as the liberal would answer them, but liberal students were unable to do the reverse. Rather, they seemed to put moral ideas into the mouths of conservatives that they don’t hold. Professor Wilson's lack of knowledge, conflation of correlation with causation, and Straw Man argument should embarrass him. I doubt they will. Those of the Progressive persuasion tend to be immune to shame. At VFW post 4073, 60 gun culture members learned how to build AR-15 rifles. Those same 60 learned that 30 protesters, organized by Professor Wilson, are ignorant, but want their guns made illegal. VFW post 4073 learned they can stand up to the crybullies of the Left, and not be destroyed or intimidated. About half of veterans own guns, and are willing to share that information on a national survey. Second Amendment supporters are winning the debate on gun legislation. That is why the Left resorts to emotional arguments. I just love the fact that some “greater than thou” libturd professor is pissed. Sign me up for that course!!! No where in this article is it mentioned that the Supreme Law of the Land “Constitution” strictly forbids the infringement of “The Right of The People to Keep and Bear Arms. This whole issue is a mental issue, the mind of man can be used for good of evil. It does not matter the vehicle used to carry out either one of those actions. Parkland was caused by government, National,State and local. Their desire to create a false outcome and profit by the results, made them ignore over 65 signs that this kid was unstable and should have intervention before he harmed himself or others. The mental state of all the Mass Murders in schools are what caused cause them to carry out evil intent. Other mass killings are caused by people who have been indoctrinated into certain Political Beliefs which require retribution Guns, Bombs, Cars or knives are not the problem, they are in animate objects and have no will of their one. Stop looking at things and start addressing people, their ability for Good and Evil and look for ways to lessen the latter. Funny how they always count “gun homicides,” rather than being honest and counting homicides overall. Gun homicides in China or Venezuela are undoubtedly pretty low. Does it really matter so much what weapon is used to kill someone, if people are being killed anyway? Good to hear that the VFW supports such worthwhile endeavors. Who really cares what Professor Wilson Dipstick thinks . Just another quasi-intellectual scam artist with nothing to say but the same old blah, blah, blah. @Walkin, Wilson probably supplements his income with Bloomberg-dollars. Paid research results are common now-a-days. @ Wild Bill this is off subject but I wanted to let you know what I heard Hannity say night before last. If you remember we were discussing the Omnibus bill Trump signed and you said that he could pick and chose where to allow the funds to go and where they would not go. Hannity brought that subject up and it was a law passed in 1972 but I do not remember what he called it. I wanted to mention that to you because you have a handle on the laws of this country. I know you are a professional lawyer but that was a hit out of the park. Has anyone noticed that almost 100% of people that use an initial for their first names are either assholes, elitists, like lawyers, politicians, drug pushers (doctors), “professors” and MSM types or a combination of all of the above? How about semi-automatic magazines? High capacity clips? ASSault weapons? On & on & ON…. Hey profess-whore dipstick: put it where the moon does not shine. I have had a thought running through my head for a while – was the rifle used by name deleted in Parkland actually an “AR-15” or was it actually an AR pattern rifle manufactured by another company, or even possibly (not likely) a personally built rifle. Does anyone know the brand, or is BSo withholding that tidbit of info. More power to the builders and the VFW, hopefully this program will continue. I am familiar with Marshall, Mi. and Albion College. Marshall is a small farming community with many gun enthusiast and hunters. Albion College is a very small third or fourth rate learning institution and may be just a two year college. A professor from there is nothing but a very small frog in a very big pond. Psyk prof in fact is not a proud position or a voice of authority. I do not have an issue with This Class. If I was an AR guy I might take it, but I am an SKS and AK guy. However, I am also very concerned about US, and I understand many of US are concerned about guns. WE could try what The NRA use to do, and that is attraction and education to bring people in the World Of The Gun. Worked and works for me, other then I say The NRA has lost their way and roots to the Buck. Below is what I think, and I should add that we have Gun Free Government Buildings which is ok I guess, but lets take 50% of what their security costs US, and use it to protect of Kids! Lets RE-Train our LE so they do not shot so quick, easy, and oh so many rounds, yet when the smoke clears they find there was no gun or knife. I call that Murder. And if we allow our LE to shoot when they feel fear, how about letting me and my Daily CC do the same thing? 3 / 30 /300 it don’t matter ! Pay. Drop the mag ! Your Dead ! Nobody is telling anyone to stand face to face. empty a mag in ya so ya don’t get up! Ever ! To Do Stuff Like these Classes. I could still learn a few new tricks ! It seems to me liberals want their rights protected, but want other peoples different rights abolished. Are they denying the holocaust? Or are they just stupid. I go with your plain stupid option for them…. Why aren’t they protesting at Obama’s house for him inventing the School-Leniency Policy that kept Nicholas Cruz from having a record which would have prevented him from purchasing weapons? Or protesting the Social Workers, Mental Health Counselors, School Administrators, FBI, Broward County Sheriffs Dept, for failing to do their jobs which would have enabled the Bakers Act to provide this young man the mental help he needed? Or the coward Deputy Scot Peterson, who even though pulling in a huge salary to protect those kids chickened out when most men would have engaged whether it was their job or not? What is happening to our society?!!!! @Terry H, The slime is floating to the top. That is what is happening. They all want the high pay but no work, nor risk. A lot of people in this country think that the so called liberals are going to take over and they want to be well positioned when socialism happens. I have heard young people say, “Social security going bankrupt will not matter. By the time, I need it the whole country will be socialist.” Scary! I believe the program to not “stigmatize” THUG students that 0b0z0 initiated and was used in Florida is or was called the “promise program”. Comment …And you thought he was gone… Andrew Mccabe’s go fund me page for legal defense was set up by a loby group connected to oboma ! McCabe’s wife wrote an oped denying that he used any resources to help her in her bid for the senate. Just like the professor, I am done arguing with the anti gun crowd. Logic and facts do not matter to them. I’m finding that debating with the anti gun crowd, even when things are civil, is like talking to a brick wall. It doesn’t matter what facts, figures, or references you provide to support your position or the logic behind it, they refuse to accept it. Not worth wasting my time. I said it in another post but it works here ! IF YOU BUILD IT , THEY WILL COME ! I think they need to take the class on the road . Kinda like shipshawana AR on the road . More VFW’s American Legions, Amvets, D.V.A.